Next Base is introducing AudioMonster at International CES. It enables users to connect their Bluetooth mobile phone, dock an iPod or insert a DVD and enjoy music anywhere in the home. The AudioMonster, which will be featured at booth 58064 in the Hilton Center, supports a wide range of media, the company said. It includes a wireless iPod and MP3 dock, Bluetooth receiver, DVD player with 3.6-inch TFT screen, card reader, USB port and FM radio. The built-in 2.1-channel wooden box speaker system ensures a powerful and rich sound with vibrant acoustics, said the company. The AudioMonster comes in white or black and includes a string of accessories including iPod dock inserts, FM antenna, Bluetooth module and remote control. Pricing and shipment info is available from Next Base at the show. CES 2007 – In-car entertainment systems are definitely important especially when you have a couple of kids sitting at the back on a long road trip. The PSP and DS Lite batteries can only last so long, so what better way to keep them from causing a ruckus than playing their favorite DVDs? Hot off NEXTBASE oven, the SDV 685 model comes with dual 7″ displays as shown above. The unit on the left is the main unit, while the slave unit is on the right. 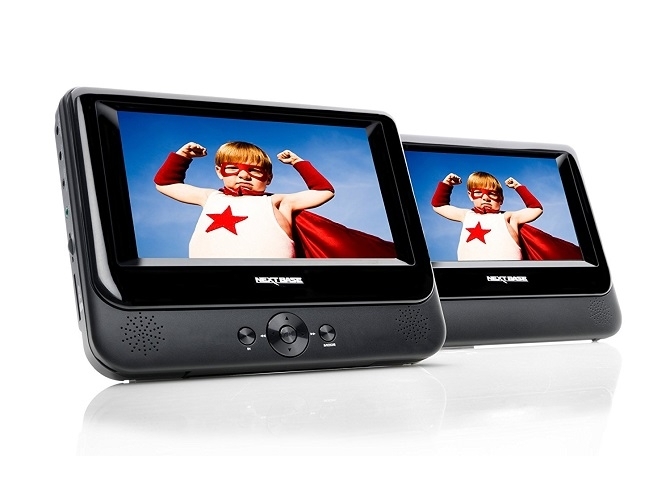 These dual displays solve the problem of squabbling children as they fight to get the best seat in the house…er, car. Each purchase comes with a remote control. You can also purchase an optional IR headphones for your kids so that you need not listen to Barney singing “I Love You” for the umpteenth time. Pricing details are currently unavailable as at press time. 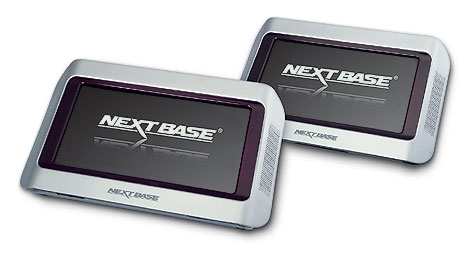 We had a look at Nextbase’s SDV 685AM Dual Screen Model at CES last month, and it was marketed to keep children busy while on a long road trip, featuring a two displays that share the same video source so that the backseat passengers no longer need to fight over getting the best seat in the house (vehicle, in this instance). 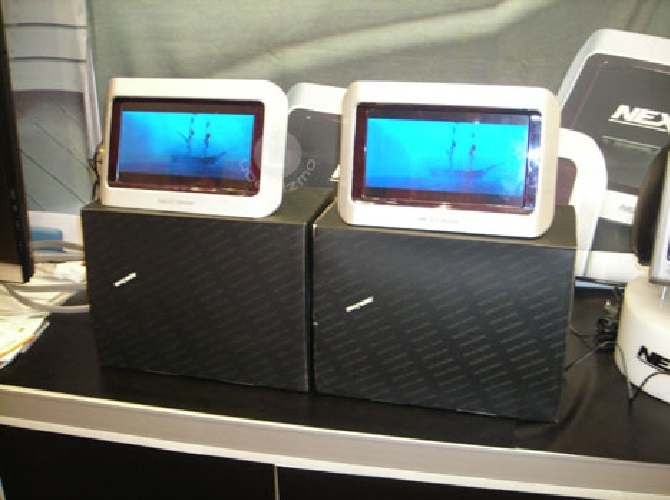 You can watch a video of this tablet DVD player in action here.